Welcome to my page dedicated to the 1997 Luc Besson movie – The Fifth Element – starring Milla Jovovich and Bruce Willis. 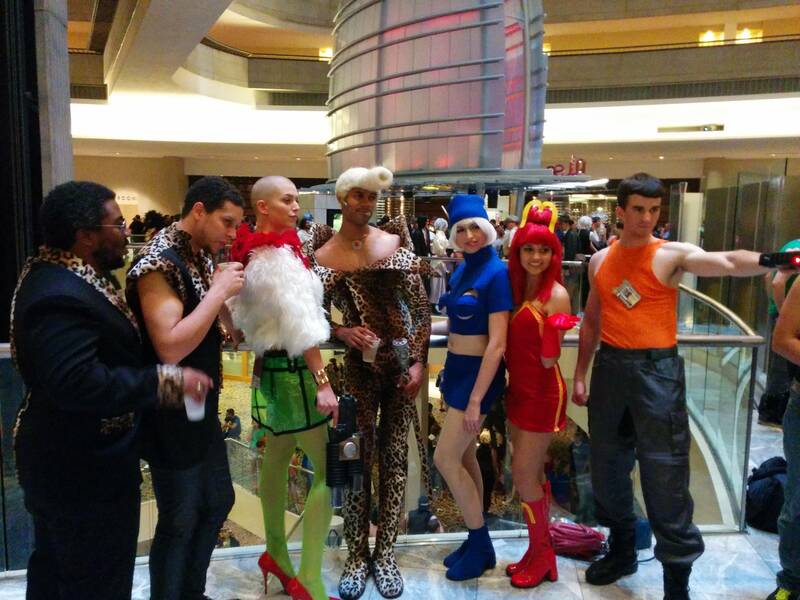 This page is intended to be a repository of all things Fifth Element, or Le Cinquième Élément. A few such fan pages exist elsewhere on the internet but are often not updated or have material missing. I hope you will enjoy the dedicated work I have put into collecting this information. To be sure it is still work in progress. I started this page on July 7th 2015 and I think it will take me the better part of the summer to complete t. For discussions on The Fifth Element please head out to the discussion board of SciFiEmpire.net, under categories movie I have set up a dedicated topic. The Fifth Element is perhaps not as thought provoking as movies such as Blade Runner or The Matrix are. It relies more on its special effects, distinctive optimistic art style and soundtrack to convey the feeling of 1990’s European space opera. Despite what can be considered a lackluster story the movie does have some central themes. One of those is feminism. Throughout the opening scenes the Fifth Element or perfect being is invariably referred to as a man. Until the remains of the perfect body are regrown and resuscitated in the laboratory, then the perfect being is revealed to be a woman, Leeloo played by Milla Jovovich. It is Leeloo’s job to stop the evil when everyone else fails. Leeloo embodies feminist pacifism and disapproves of mankind’s recent history of violence. Besides the unforgettable artstyle the movie also has an excellent soundtrack. Luc Besson commissioned Eric Serra, who previously worked with Besson on Leon. Serra had also just completed the score to the 1995 James Bond movie GoldenEye. 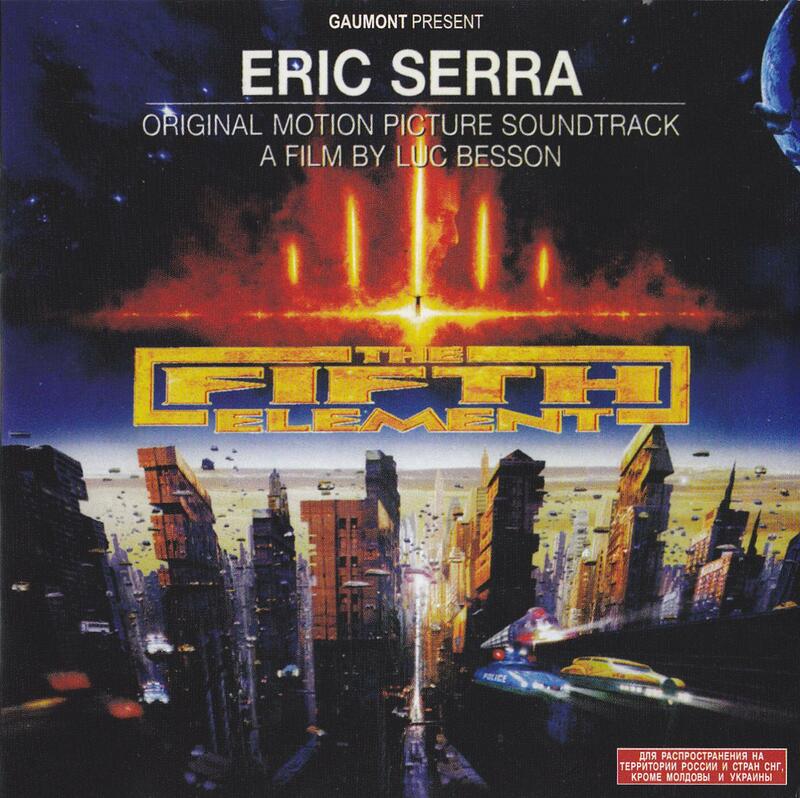 The Fifth Element has been described as being intrinsically musical, each section of the movie has a unique score to set the mood. The infamous Diva Dance was from “Il dolce suono” by Gaetano Donizetti is an example that has most people remember well. For the movie it was sung by Albanian soprano Inva Mula, but the role of Plavalaguna was played by French actress Maïwenn Le Besco. The score for the movie also includes “Alech Taadi” by Algerian performer Khaled, used for the taxicab chase scene. However, the official soundtrack does not feature the song and it can only be found on Khaled’s 1993 album N’ssi N’ssi. Although the 10 year anniversary edition of the soundtrack may feature it. On the following Leeloo soundtrack there is a in-depth breakdown of each song that can be found on the five official soundtracks the author could find. The Fifth Element already received its Home Media release in 1997 on Laserdisc, VHS and DVD. The years 1997/1998 was the period DVD was starting to make its breakthrough. Along with Blade Runner it was amongst the best Science-fiction movies available. Sadly neither received editions with any extra documentaries. In 2001 the movie got a long deserved second release on DVD, using Sony’s Superbit encoding that was so beloved amongst DVD fans. However, like other Superbit editions it again was released with no documentaries. Instead, it was in 2002 that a non-Superbit release came with one documentary of 25 minutes long and some biographies of the actors. An Ultimate version was finally released in 2005, it contained two discs. On one disc was the familiar Superbit release and on the second a number of documentaries which were considered praise worthy. The Fifth Element on Blu-Ray had a similar checkered history. The original 2006 release was widely panned because of its poor picture quality. With the future of Blu-Ray in question Sony immediately started work on a remastered version suitable for 1080p, which was released in 2007. Buyers of the 2006 version could apply to have their copies replaced. However, the Blu-ray version did not contain any extra features. 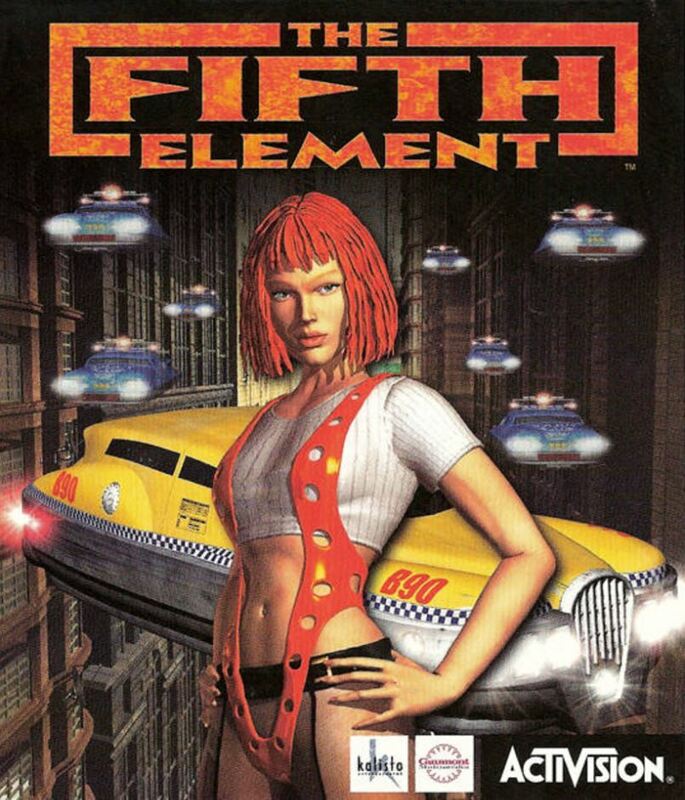 Two games have been released that are based on The Fifth Element. The first game was a direct adaptation of the movie released in 1998, about a year after the movie. It was produced by the now defunct Kalisto Entertainment and published by Activision. The game received mixed-responses. The PlayStation version was terrible, bad graphics and repetitive gameplay. The PC version was better received but by 1998 standards horribly outdated. The game is generally considered a poor man’s Tomb Raider. Compared to Tomb Raider the game is boring with the controls too twitchy to make the in-game characters move in the way you want them to. I remember playing the demo of the PC version for a day. It took me the better part of an hour to get off the very ledge that Leeloo was standing on after she escapes from the growth chamber. Due to the difficult controls I kept falling off the building after which I was confronted by another loading screen. To me the game seemed far too eager to indulge the pubescent mind by showing off Leeloo in her orange/white leotard. For those wanting to go on a trip down memory lane I cannot recommend you play this game. The feel of the movie in no way returns to this awful game. That said, the game has been ported to Android so it should be easy to give it a try. Presently the only copy available on Amazon is second hand on the PlayStation for $ 7.49. 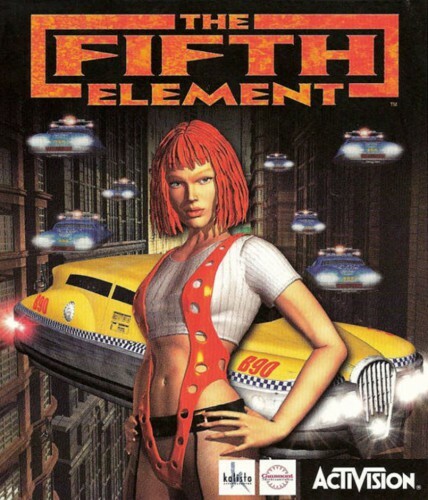 The second game inspired by The Fifth Element is New York Race released in 2001. It was again developed by Kalisto Entertainment as one of their last projects and published by Wanadoo Edition. Though only three years had passed since the first game’s release it made use of the incredible improvements in graphics computing experienced at the time. I remember looking fondly towards NYR, even when preview articles were skeptical. 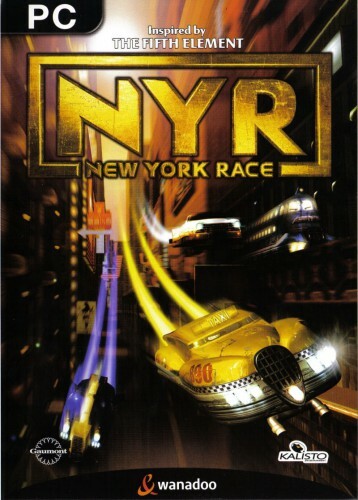 The game is built around the most spectacular scenes form the movie, the taxi chase through the skies of a future Manhattan. Though the scope might have been limited it at least promised fast paced chases. Players can unlock a large number of vehicles and characters to race with against AI players. Sadly the gameplay was uninventive. The designers desperately tried to grab the quick-paced comic feel of the movie, they succeeded with the game’s menu’s but the gameplay is lackluster and repetitive. It reminded me more of Mario Kart than anything else. Though colorful the environment is suspiciously sterile, especially on the PS2. The PC version is not much better, being an almost direct port. Though it did have an online mode. Overall, it cannot be said the game is bad, it received positive reviews, but they were all borderline. Two books have been released regarding The Fifth Element. The first was a novelization of the movie written by Terry Bisson. The novel is still available from Amazon The Fifth Element, but I belief it is no longer in print and hasn’t been since the movie’s initial release. The novelization does have a small following of those interested in the language Leeloo speaks, The Divine Language. It is one of the few sources that contains written examples that can be studied. The language may never develop a following like Klingon or Dothraki, but there is a small online community for those interested (follow link). 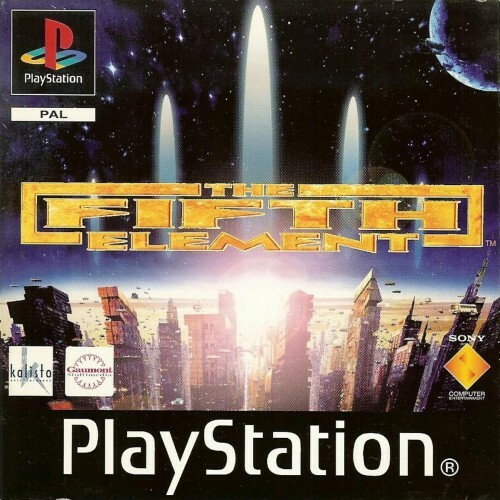 The second book is entitled The Story of “Fifth Element” and deals with the lengthy production of the movie. The book was released a few months after the movie and is written by director Luc Besson. It features illustrations by Andrew Wildman. Originally published by Titan Books Ltd you can still get a copy from Amazon on paperback for 200 dollars. The high price is because like the novelization it is no longer in print and it had only a small print run. As director Luc Besson was soon after the release embroiled in a legal squabble with Alejandro Jodorowsky and Jean Giraud over whether Besson had plagiarized their comic The Incal it remains doubtful whether the director is a truthful narrator. There has also been unofficial artwork project on Kickstarter. Ever since the original movie was released in cinema rumors have floated of a sequel. Both director Luc Besson and movie star Milla Jovovich expressed interest. However, Luc Besson has also caused controversy by denying that there will ever be a sequel. Besson has since the release of the movie busied himself with screenwriting and producing movies. The 2014 movie Lucy starring Scarlett Johansson seemed a throwback to his earlier work such as Leon and Nikita. For 2017 the director has a Science-Fiction movie slated, Valerian and the City of a Thousand Planets. The movie is an adaptation of the similarly named French comic. Fans of The Fifth Element are hopeful the director is attempting to make a comeback after two decades of movies that are not considered well recieved. Casting of Cara Delevingne as Laureline and Dane DeHaan as Valerian was not without controversy. Meanwhile a movie adaptation of Alejandro Jodorowsky and Jean Giraud‘s The Incal has also been announced. Danish director Nicolas Winding Refn is slated to adapt the comic series as a live-action movie. However, the news was first announced in 2013 and since little has been revealed. At this moment I would consider the project to be in development hell. 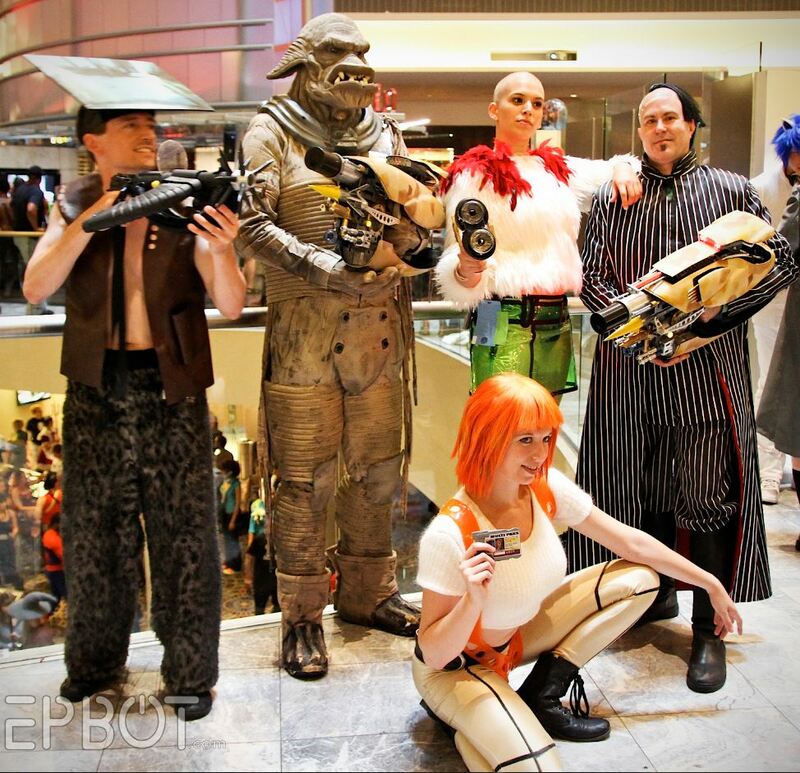 With all the fantastic and outrageous costumes designed for The Fifth Element the movie has become popular for those partaking in cosplay. Especially Leeloo’s two famous outfits: the white bandage leotard and the orange thong leotard are the most seen.